The Makala Shark line is well-suited for casual players looking for something colorful and fun to sink their teeth into. 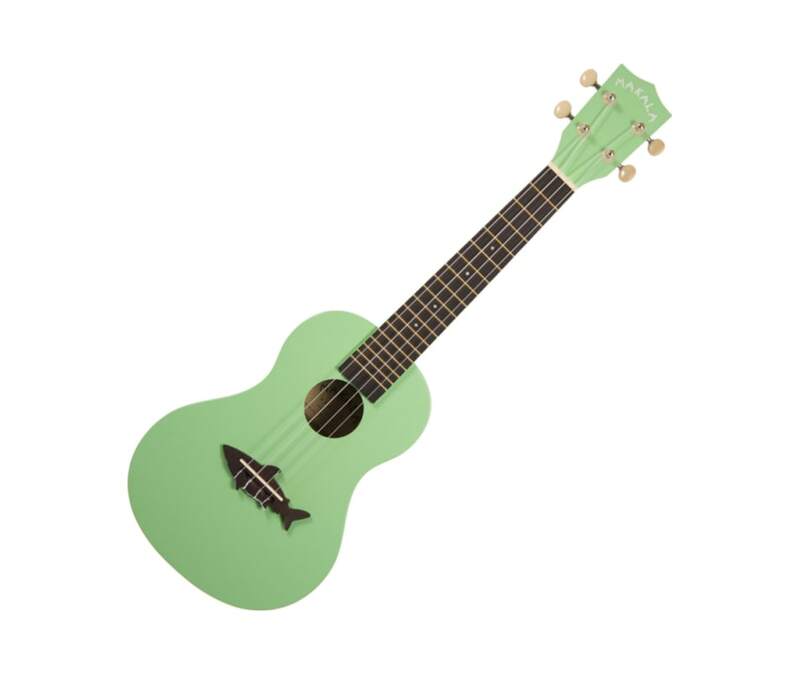 The Shark is a terrific deal that also looks and sounds great - the perfect uke for anyone to bite into. Scale Length: 14.812", Overall Instrument Length: 24.062", Body Length: 11.02", Number of frets: 18, Width at upper bout: 5.846", Width at lower bout: 8.11", Width at waist: 4.82", Body Depth: 2.75", Fingerboard width at nut: 1.365", Fingerboard width at neck/body joint: 1.74"